but with four kids, four adults, a dog, a home improvement project, trips to the beach ...not to mention an ice cream, wine and seafood store all within walking distance... it proved to be too chaotic! I made the Crab Cakes exactly as written...they're delicate, simple to throw together and absolutely delicious! 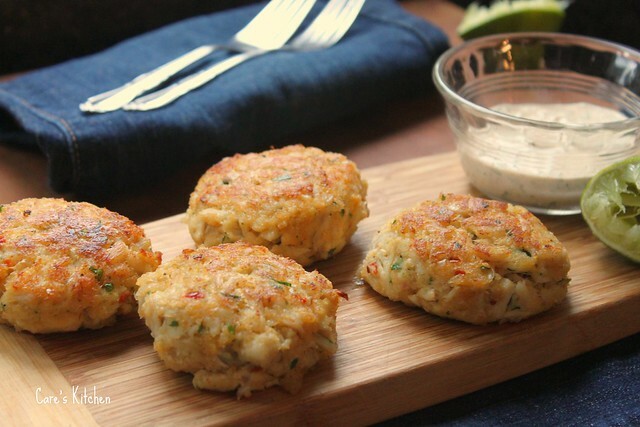 Make these Chili Lime Crab Cakes sometime...you'll be glad you did! Crab is one of my favorite foods, even by itself. I love the Mexican twist on these! Those looks great! I have never had a crab cake before (I didn't even know that I liked crab until a few weeks ago). I'll definitely have to make this recipe soon! Oh Lawd. I don't like (read HATE) mayo, yet I would cut a biatch for a taste of this. Beautiful!! I adore crab cakes. Yours look so lovely.. I wish I could reach right in my computer and grab one!! Can't wait to make these! You gotta love a good crab cake, and this looks so yummy! I am going to have to make some this weekend. Chili Lime Crab Cakes definitely hits the spot when it comes to delicious food. This would be perfect with a Merlot. Those crab cakes are so mouth watering. I think I'll try your recipe on since I haven't tried chili lime on my crab cakes. I love how you made your crab cakes spicy. This would be great with a strawberry and wine glaze to make a contrast in taste. I love spicy crab cakes! They look great, as well. Definitely a great meal when coupled with wine. This just looks so mouthwatering. I usually pair mine with a Chardonnay. The corn kernels, tomatoes and beans looks great under the the crab cake. This dish is very appetizing. I used to cook crab cakes all the time but now it seems crab is getting more expensive so I substitute for fish cake instead. I used to make crab cakes when my mother was still around. We have fun doing it I ended up putting a lot of spices but it still turned out great. Crab is one of my favorite sea foods! I want this served by our trusted catering service on my next birthday party. 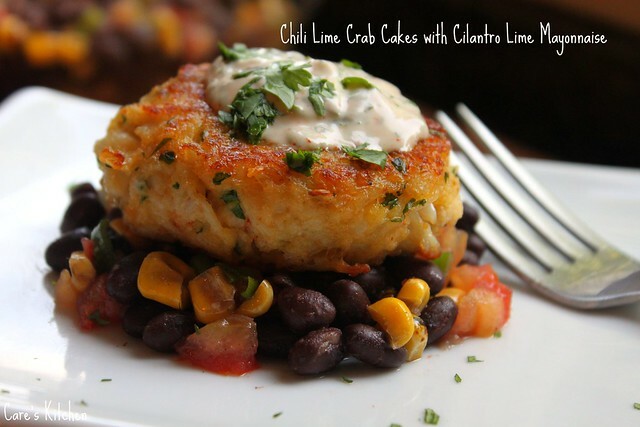 I will practice to make this Chili Lime Crab Cake for my sister’s birthday. She loves seafood and I think this is the best food to be served for her birthday. I couldn't find crab in the supermarket here, so I had to settle with fish! Such an awesome idea to add the avocado to them!